Kevin from "UP" was spotted on Discovery Island in Disney's Animal Kingdom! Kevin was out and about in Disney’s Animal Kingdom Monday, February 11, 2019 walking amongst guests and pausing for photo ops! She will be on Discovery Island daily starting on Feb 15,2019. 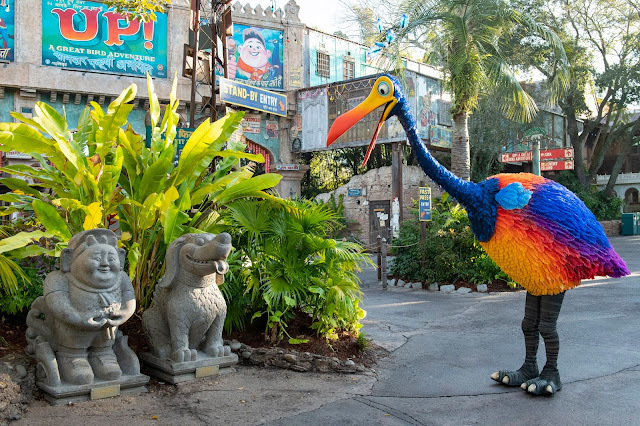 Disney shared a first look video of Kevin, who was spotted prancing around on Discovery Island. 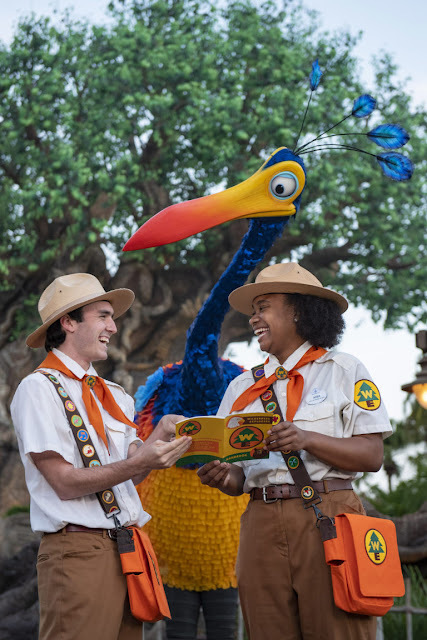 Fans can also find Senior Wilderness Explorer Russell and his furry friend Dug at Disney’s Animal Kingdom. They are there daily greeting guests and discovering various species of birds from around the world in the “UP! A Great Bird Adventure” live show. Guests can also visit Russell and Dug for photos and get a nice hug from both on Discovery Island. Unfortunately you can’t take darling Kevin home as a pet, but you can bring home a plush version of the exotic cutie. Starting in mid-February, this Kevin merchandise arrives in select Animal Kingdom locations. Did you know that Kevin from Disney-Pixar's "Up" is a girl? Some people miss that in the movie but trust us the exotic cutie is a girl! Kevin MERCH!!! I can't wait!!! That alone is worth the trip! This has to be one of my favorite Disney costumes yet. I want to roam the park by her side and take photos with her!!! Toy Story Shufflerz Are Available Now! Disney's Frozen 2 Teaser Trailer Is Here!